Air heaters or inert gas heaters are commonly considered when products, process operations, or the facility environment are potentially compromised by using direct drying/heating systems. 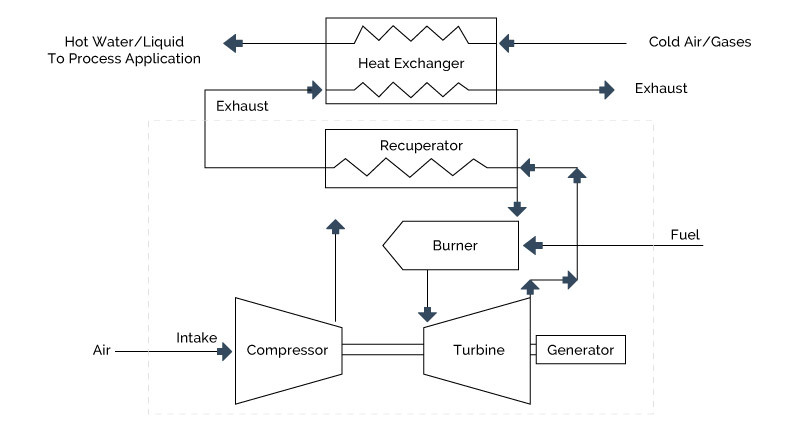 Because issues including plant layout, local regulations, and fuel type affect these considerations, many of the processes in this section and the preceding section are served by both indirect and direct heating. This is shown in schematic in Figure 5-6. Food products cooking, baking, and drying. Roasters used in coffee and cocoa processing. Baking ovens used for breads, cakes, etc. Toasting and drying systems for cereals. Finish drying and curing systems. Dryers following painting and or final cleaning operations in furniture and metals fabrication industries (transportation & industrial equipment, beverage cans, etc.). Dryers used in finishing periodicals and newspaper production processes.